This watch is your Classic Looking Panerai, and features the Black Dial, Small Second Hand, and Luminous Indices. Collection:Radiomir Black Seal. PANERAI MODEL # PAM 609 OR PAM 00609. Model Number:PAM 609 or PAM 00609.
item 3 Panerai Radiomir Black Seal 8 Days 45mm PAM 609 R Series New ! 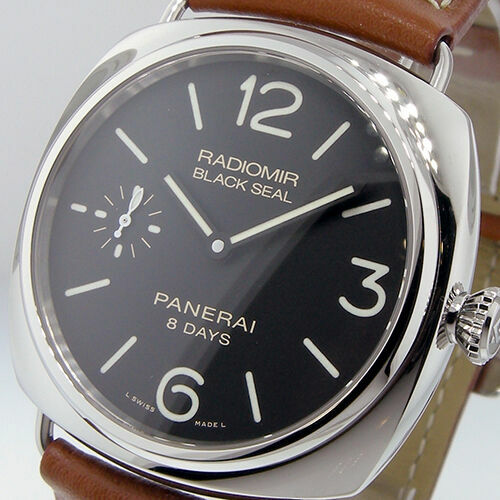 -Panerai Radiomir Black Seal 8 Days 45mm PAM 609 R Series New ! NEW Michael Kors MK8286 Men's Lexington Watch Gold-Tone Black Dial NEW!